The Society’s next Annual Scientific Meeting will be taking place between 4th-6th September 2019. 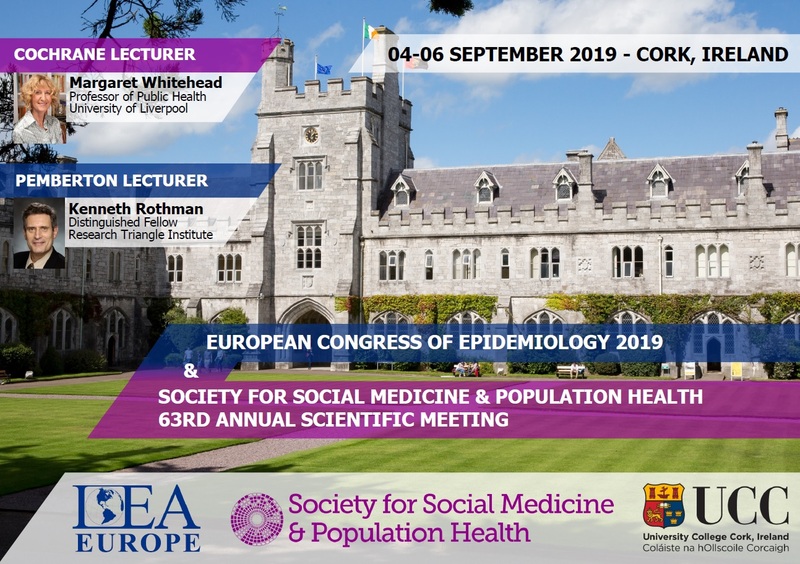 Held jointly with the International Epidemiology Association (Europe) European Congress of Epidemiology, the event will include the usual mix of parallel abstract sessions, workshops, and plenary sessions. Our Cochrane Lecture will be delivered by Margaret Whitehead (Professor of Public Health, University of Liverpool) and our Pemberton Lecture by Kenneth Rothman (Distinguished Fellow from the Research Triangle Institute). Our call for abstract- and workshop-submissions will open at the beginning of February 2019. Check our website or twitter feed nearer the time for further details. Final day for abstracts submissions!